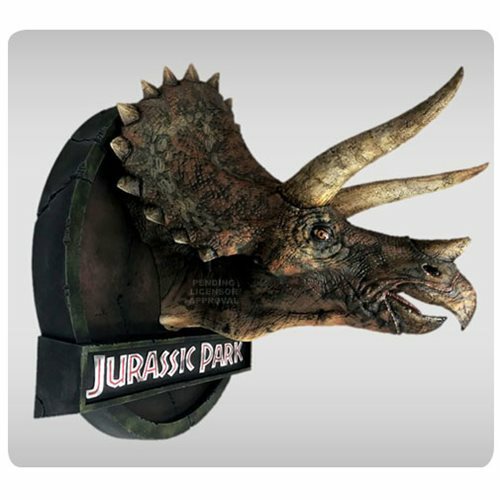 Shopping for Jurassic Park Busts? The Triceratops played a key role in the film< i> by giving Dr. Grant and Ellie their first up close encounter with a fully grown dinosaur. 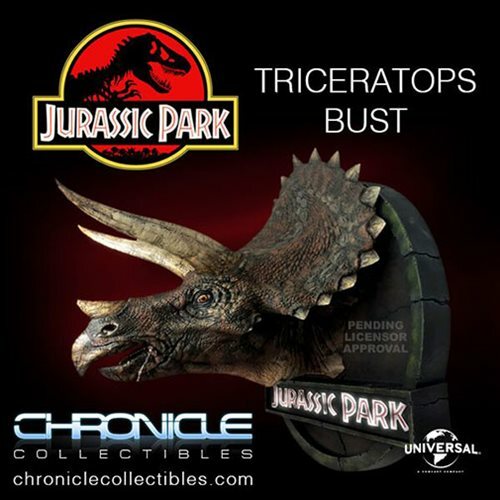 Chronicle Collectibles is thrilled to bring home this magic moment of cinema for Jurassic Park fans with this striking Jurassic Park Triceratops 1:5 Scale Bust! 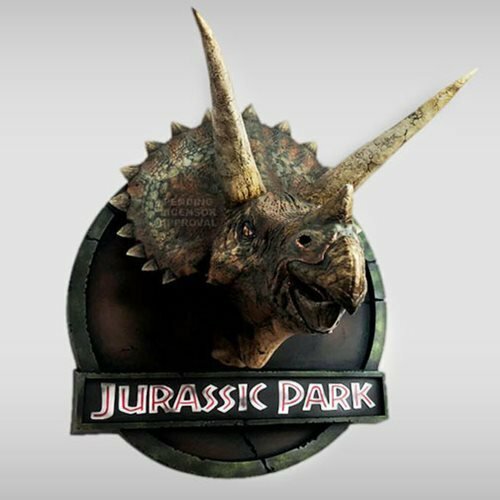 This gorgeous dinosaur bust was created from a scaled down 3-D scan of the Sick Triceratops as seen in the first film. 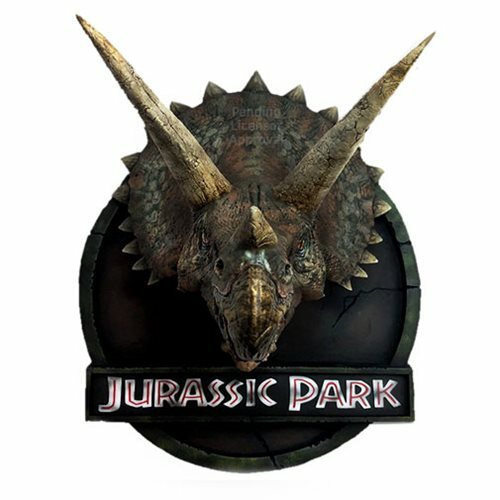 Since the existing life-size scan of the Sick Triceratops only featured one side of the face, Chronicle Collectibles skilled artists mirrored the head for the opposite side and then carefully detailed it to ensure it was wholly accurate and not just a mirror image. This amazing bust is designed to be wall mounted and is roughly 16-inches in diameter for the base and 19-inches from base to nose (not including the horns). Comes individually numbered.